Packaging Dimensions 8.3 in. x 5.3 in. x 1.5 in. This reproduction is printed quite well, and easily readable. It is quite a blessing to be able to purchase this book in 2018. The binding is as good as the original. Do not hesitate to buy this book if you need it. It's a keeper. Get a copy of this while you still can. It really is nice to have a reprint paper copy on hand to thumb through to find oddball RF and TV tubes to use for audio projects. It's a shame AES no longer has the RCA RC-19, GE Essential Characteristics and other reprints it carried at one time. Audio Amateur no longer has the great reprint books it once had either. The world moves on. This book appears to be a brand new reprint of an earlier RCA manual. I bought it as a reference/cross reference for tube data in order to help avoid bad information included in the tube data rolls on my EICO 667 Tube Tester. It may be of some help in that regard, but not a one-stop source for correct information for testing. The book, considered by itself, is a nice reference. There is an introductory section covering basic tube information, tube characteristics, applications, installations, safety precautions, interpretation of tube data, and a little bit on testing. The major portion of the book gives a lot of the technical data on a myriad of tube types. The tubes are listed in numerical order for ease of location within the book, and cover the voltage regulator tubes, beam power tubes used in amplification, as well as many of the receiving tubes used in TV and radio. For my purposes I have found it to be an excellent reference book, and well worth the price, which I though was reasonable as well. Asked by Anonymous on August 29th, 2017. This is a reprint of the 1973 version and as far as we know is a complete edition. This is not the latest version for RC-30. My original copy was printed in August 1975. Asked by Anonymous on August 25th, 2017. 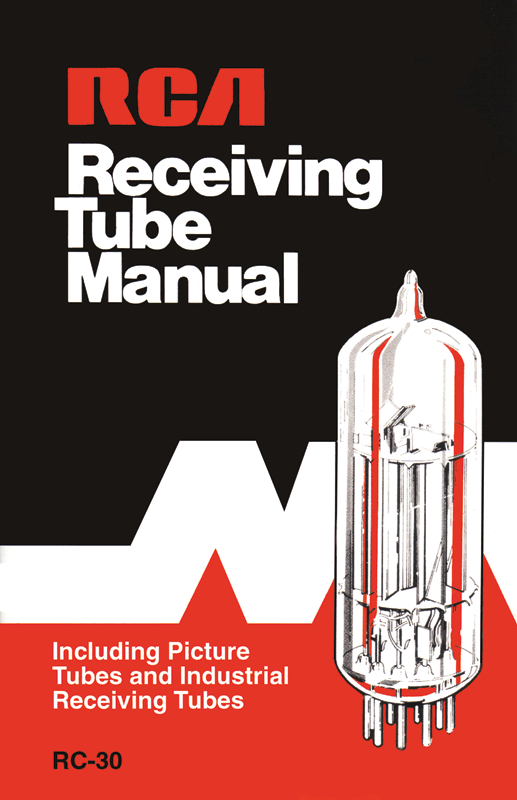 No, this is a manual for receiving tubes. We recommend Saga of the Vacuum Tube. Yes, this reprint does have schematics listed in the back of the book.